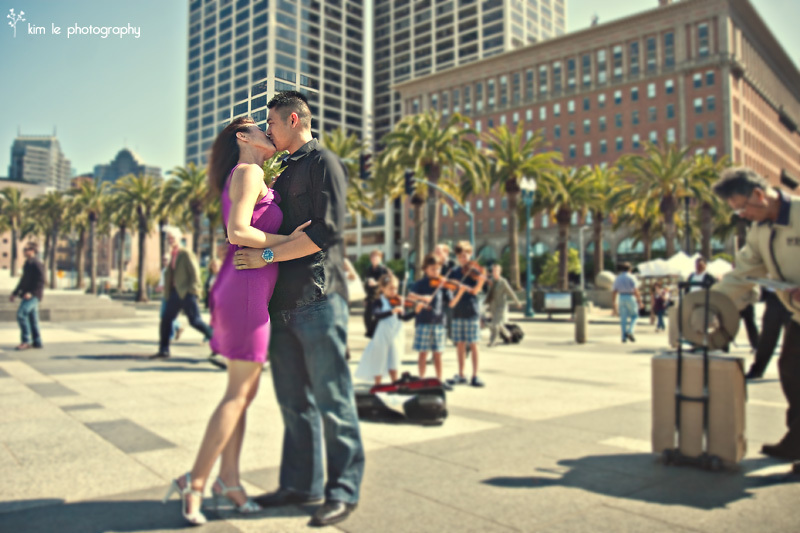 During my girls trip earlier this month to San Francisco, I made some time for a wonderful engagement session with one of my lovely couples: My & James. My & James live in Sacramento, CA so they drove down to meet me for a lil’ San Francisco treat :). And what a treat it was to shoot with these two! They were a little nervous at first, but warmed up quickly to the camera and didn’t need a lil’ liquid courage after all :). 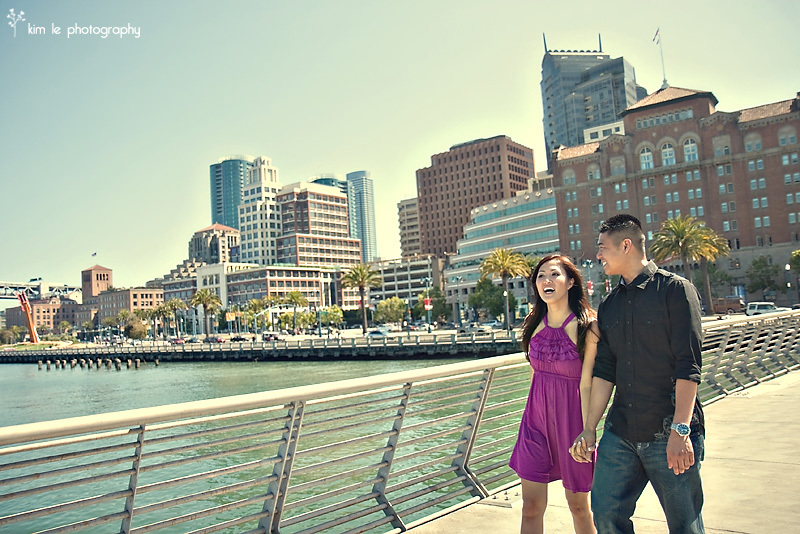 We ended up wandering around the city for hours and honestly, I could shoot My+James+San Francisco any day. James – next time we will find the house from “Full House”! We started off by the Ferry Building. It was a beautiful, warm day! And these two were all smiles from the start. You can’t give me grass like this and not expect me to have my couples frolic in it! We ended our session at Golden Gate Park near the de Young Museum. After a lil’ wardrobe change – they looked great in their pretty whites. Not sure what is going on here but I love their expressions! My & James thought of these next two poses all by themselves – I definitely enjoyed them! It’s a wrap! I can’t wait for their wedding in September! 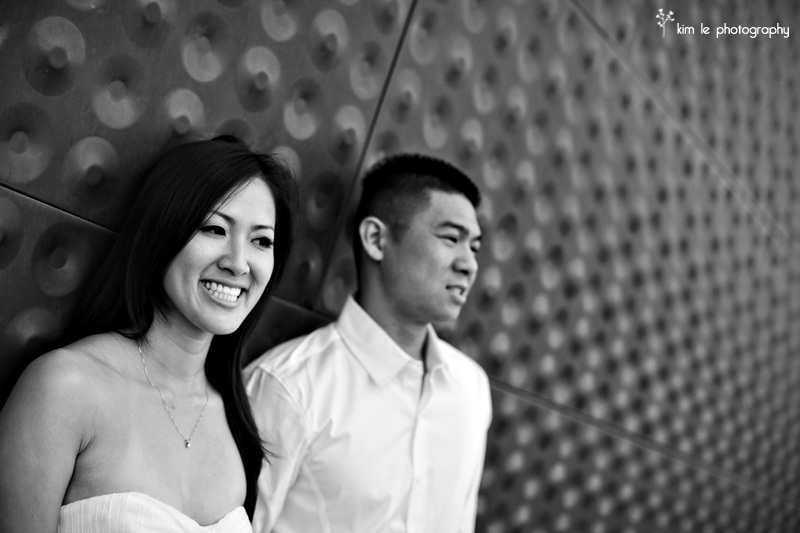 Tags: Bay Bridge, De Young Museum, engagement, Golden Gate Bridge, Golden Gate Park, photography, san francisco, wedding, wedding photographer. 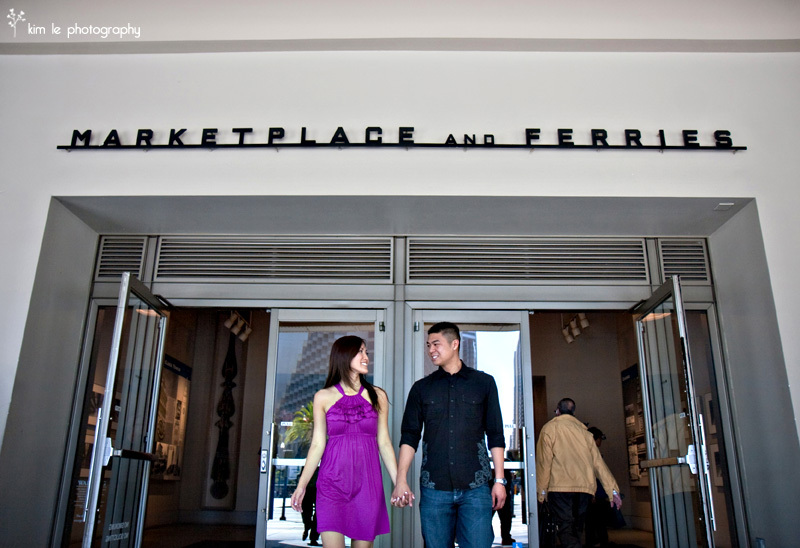 San francisco + talented photographer + fun couple = gorgeous photos. You just can’t get a better combination than that. Omg you got me all excited about our e-session! What a cute couple and the photos are so amazing! I can’t wait to see more.